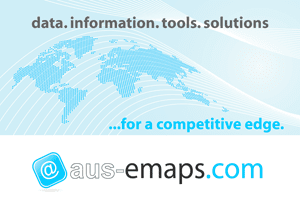 Last week Geoscience Australia released a couple of new free data products for Australia: Digital Elevation Models (DEM) at 1 second (30m resolution) derived from the NASA Shuttle Radar Topography Mission (previously restricted only for research purposes) and Dynamic Land Cover, the first nationally consistent and thematically comprehensive land cover reference with 250m resolution. “The new 30m DEM products improve our understanding of the national topography by producing digital elevation models at more than eighty times the resolution of the current national 9 second (250m) DEM”. 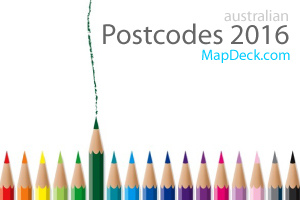 DEM data can be downloaded for free from the National Elevation Data Framework Portal administered by Geoscience Australia (limit of 400MB per download apply). 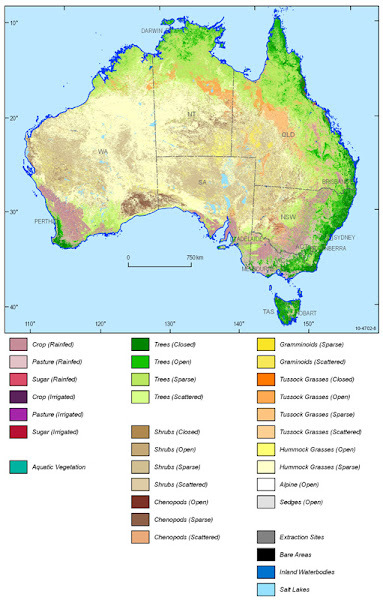 Grasslands are the dominand feature of Australia’s landscape, covering more than one third of the land area (37.1% or 2.8 million square kilometers). Tree dominated landscapes cover 32.1% or 2.5 million square kilometers. 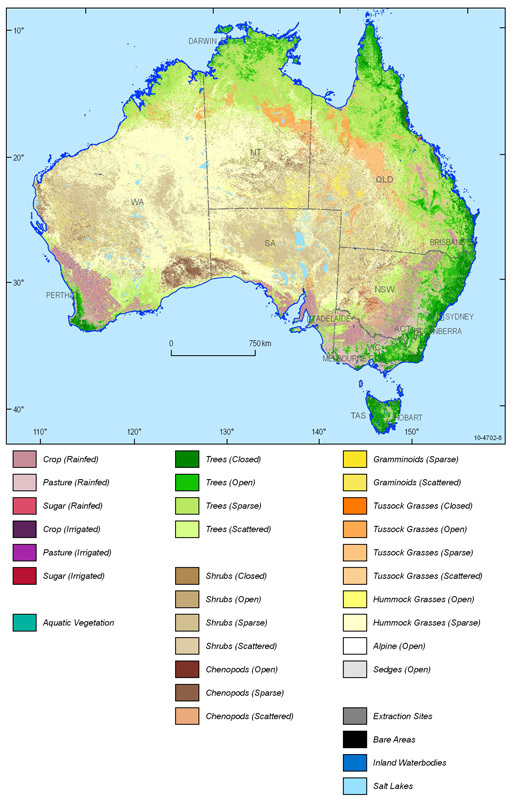 Shrubs cover 1.6 million square kilometers (20.7%) and intensive agriculture, including irrigated and rainfed cropping and improved pastures, cover less than 10% of Australia’s land area. Data can be viewed online using 3D World Wind application (relevant Java framework has to be installed on the computer in order to view the application) or can be dwonloaded free of charge in GeoTiff format (~500MB).